Data Vortex Technologies has formalized a partnership with Providentia Worldwide, LLC. Providentia is a technologies and solutions consulting venture which bridges the gap between traditional HPC and enterprise computing. The company works with Data Vortex and potential partners to develop novel solutions for Data Vortex technologies and to assist with systems integration into new markets. This partnership will leverage the deep experience in enterprise and hyperscale environments of Providentia Worldwide founders, Ryan Quick and Arno Kolster, and merge the unique performance characteristics of the Data Vortex with traditional systems. The senior technical teams of Data Vortex and Providentia are working on demonstrating the capabilities and performance of popular open source applications on the proprietary Data Vortex Network. 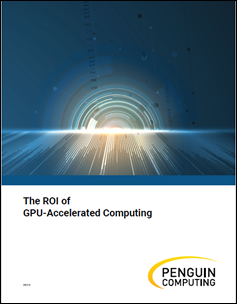 The goal is to bring unprecedented performance increases to spaces that are often unaffected by traditional advancements in supercomputing.